Do you have a mobile workforce in charge of inspecting, maintaining or interacting with assets? Watering trees, inspecting signs, putting up flyers, or targeted fundraising activities? If so, there is a new technology from Esri called Workforce that has your name all over it. Beginning with asset data hosted in ArcGIS Online, a series of filters and queries can be used to determine which assets need to be assigned to your workforce. These might be assets over a certain age due for inspection, or locations where an issue has been reported. Assignments are made to named individuals in your ArcGIS organization, and contain information including location, priority level and due dates. 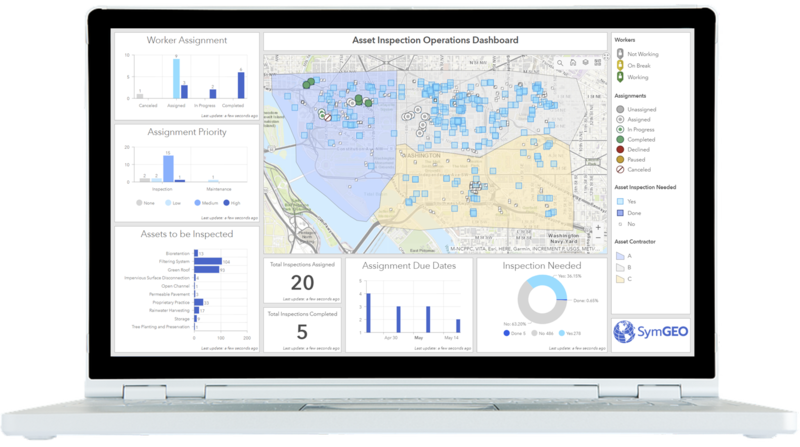 The assignments are then pushed to the mobile devices of your workforce, where they accept, navigate to, and complete the assignments. This may entail entering in notes, or taking pictures, and updating the assignment status. 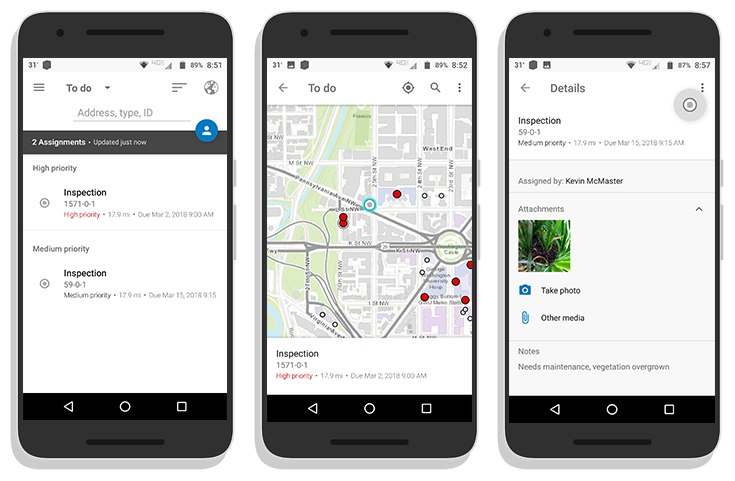 This information is sent back to the centralized cloud-based ArcGIS Online database in near real-time in a connected environment, or upon data synchronization if out of cell / wi-fi range. Back in the office, the workforce administrator can use the information to check worker progress, see current worker status and location, and re-allocate resources if needed. The information is easily aggregated and displayed using a dashboard or configurable web application. If you’d like a hand getting set up, let us know, and SymGEO will put Workforce to work for you!